John Halamka’s discussion of the MACRA NPRM was the topic of conversation at the client I was visiting last week. I’m working with them on a strategic planning engagement and am primarily in contact with senior clinical and operational leaders. People kept referencing it throughout our meetings on Friday and I saw the email link go around at least three times. You can always tell who works their email from oldest to newest and who works the other way by how they forward things that many others have already commented on. Having been a salaried employee trying to run a primary care practice within the health system’s model, I’m not sure the former choice is entirely rational. Being employed isn’t always the answer. I have worked with physicians at health systems whose conservative and risk-averse nature caused them to significantly over-interpret the requirements of Meaningful Use to the point where practices were collecting completely unneeded information that no one ever looked at. Physicians in employed models often have little control over things like staffing ratios and productivity expectations, which frequently leads to physicians doing busy work because they are either inadequately staffed or have the perception of inadequate staffing. As someone with experience in the DIY realm, I appreciated his analogy that, “Sometimes when you remodel a house, there is a point when additional improvements are impossible and you need to start again with a new structure.” That analogy should extend past MACRA and MIPS, however, to our entire healthcare delivery system. I do think we’re reaching the point where we’re spending such a high proportion of our resources on a system that isn’t delivering for our patients. Taking a 20-pound sledgehammer to it might not be such a bad idea. Although Halamka wasn’t making a wholesale call for people to quit practicing medicine, he did say that, “As a practicing clinician for 30 years, I can honestly say that it’s time to leave the profession if we stay on the current trajectory.” I agree with him that it will be nearly impossible for organizations, whether small or large, to implement the rule as written on the timeline that is proposed. Having a final rule come out in November for implementation the following January with a full-year reporting period is absurd. How long did we give merchants to make the switch to chip-enabled credit cards? How long did we give states to implement the provisions of Real ID? I’m eager to see the comments that are submitted regarding the proposed rule. Many physicians are finally feeling like it’s time to start fighting back, but others are selling their practices or just leaving. I spent most of my family’s Mother’s Day gathering hearing from relatives that aren’t happy that their physicians have retired, with one commenting that a successor physician “doesn’t have the knowledge in his whole hand that Dr. X had in his thumb.” Another lamented that her physician had joined a practice doing some “double billing,” which turned out to be provider-based billing because the physician’s office is considered an outpatient department of the hospital. I also heard yet again about poor quality care being delivered because a physician is treating statistics rather than treating the patient. I’d love to call my grandmother’s physician and ask him exactly why he thinks tight glucose control with multiple meds is the right thing to do for a nearly 90-year-old patient who recently developed diabetes. Rather than sending her to the specialist to work up a possible inner ear cause of her dizziness, maybe he should have listened to her history of low blood sugars as a potential cause. I’ve offered multiple times to go with her to her appointments, but she refuses, partly because she doesn’t want to inconvenience me, but partly because she’s of a generation that doesn’t dare question the doctor. Knowing the group he’s a member of, I can bet that the fact that his bonus rides on patient lab values might be playing a role in his decisions with her. Of course, he could exclude her from the calculations, but again knowing the group and their EHR, that would probably take too many clicks if he even knows how to do it. It’s a fairly depressing time to be in medicine. I enjoy seeing patients and am lucky to work for a great group, but overall, morale is at an all-time low. More than half of the physicians that were in my residency class have left primary care. Most of those that have remained have changed employers at least a couple of times. Everyone seems to be looking for something better, but they don’t seem to be finding it. There is one little ray of sunshine in the proposed rule, but I didn’t really process it until I read Dr. Halamka’s summary. That’s the change in wording from Eligible Professional to Eligible Clinician. At least someone, somewhere, remembered that those of us that are actually caring for patients are clinicians rather than just nebulous “professionals.” I like it. It also identifies the broadened scope of professionals covered by MIPS, although it’s not catchy enough for me to change my Friday post from EPtalk to ECtalk. 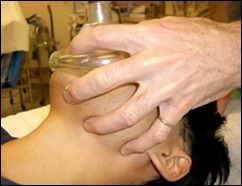 Whenever I hear “EC” together, I think of the E-C clamp technique that you use when you’re using a bag-mask to ventilate a patient. That’s just another sign of how doctor brains work – only one of us would think of something like that. What caught your eye in the proposed rule? Email me. One reason that so many physicans are retiring is well because they are old and the second is that they can afford to.. In 2014, the average age of the respondents is 50, versus an average age of 54 in 2012. In 2014, 33 percent of the survey respondents are female, versus only 26 percent in 2012. What study are you referring to? Does that 2M include real estate holdings? It bothers me to no end that Physicians haven’t rallied together against the modern absurdity that is Physician compensation. Physicians are the only profession that do not get raises with experience. If you’re licensed the same, the price is the same. It’s ridiculous. I assure you I want the heart surgeon who’s been at it for decades. Not the one that just finished residency. This also makes care more affordable for the less fortunate. They can get care by less experienced and cheaper Drs (just not necessarily by the same people). A good teacher gets paid more with experience (sometimes a lot more). A starting out teacher makes due on much less. The same is true for mechanic, plumbers, ac guys, investment bankers, consultants and even attorneys. It’s time we actually create a career path in medicine to keep Dr’s motivated and in the profession. The other answer could be to create a path from nursing to MD. A 20-year nurse would probably make a pretty good PCP.